Send your friends and family to experience the best of Cairns from the water with a Cairns sightseeing and lunch cruise, or a sunset and dinner cruise gift voucher! 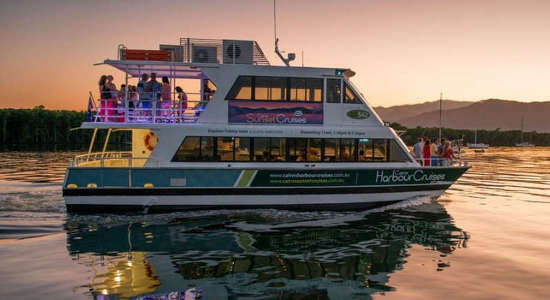 They will hop on board a scenic cruise departing from the Cairns Marina in the afternoon and explore the waterways and wildlife or instead head out of an early evening for a dash of romance with the option to add on a three-course dinner on the waterfront afterwards. Cruises depart daily at 1.30pm and 5.30pm, respectively. Add a restaurant lunch or dinner to make it the perfect Cairns cruise gift! 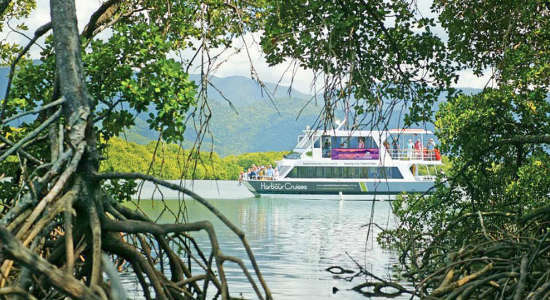 With waterways winding through a 300 square kilometre maze of mangroves, expect stunning scenery with this relaxing Cairns cruise gift voucher. Sail over the lovely tropical blue waters of Cairns with this gift voucher for a sunset cruise in one of north Queensland's most popular destinations.